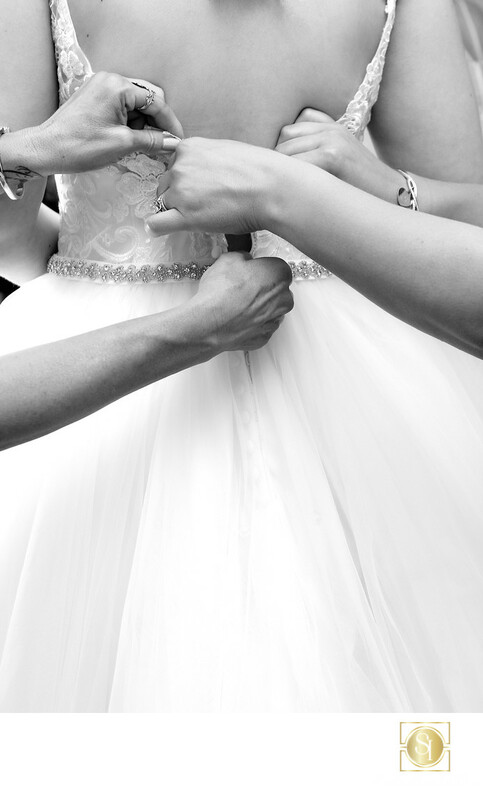 Those moments before the wedding as the bride gets ready to walk outside can be absolutely precious. Moms really like to see those photo, since they're so busy in the time leading up to them they really can't take a pause to appreciate them. So many of them look so good in black and white, too, that's always a temptation to convert them like this one. Corrine is the daughter of a long time friend, we were honored to be asked to photograph her wedding! A beautiful day and a lot of our friends, there, too made for a great day for everyone. This photo was done with the Canon 5D mkIII and 24-70 f2.8L using natural light. Location: Riverwalk Golf Club, San Diego, Ca..
Keywords: riverwalk golf course wedding photographer (12), San Diego Wedding Photographer (564).